Our methods of thinking help us choose between formulations, ideas, thoughts, notions, hypotheses and theories. They enable us to decide what is true and what is false. They should also help us pick the most reliable action that offers maximum predictability and should allow us to reject ideas that do not correspond with observable facts. Humans have used various methods of thinking including appealing to authority, intuition, and rational, philosophical and logical thinking. Using all of the above and more may be useful in coming up with creative ideas but we should not misuse these methods by relying on them to make a final selection. Most useful ideas are discovered when checking whether a verbal formulation corresponds with observable facts. The enormous progress of science and the technological marvels of our age were possible because people tested their ideas against observable facts. What would make the big difference is the thorough insistence that all knowledge passes the test of being checked by observation. Sometimes this means tests, and sometimes it only means opening our eyes to observe facts that have been around us for years. Science is the systematic enterprise that creates, builds and organizes knowledge in the form of testable explanations and predictions about the universe. The use of science has made it possible for the tremendous human technological progress witnessed since the rise of the Industrial Revolution. By making sure what we know corresponds with reality and by using what we have confirmed, people’s overall standard of living has improved dramatically. 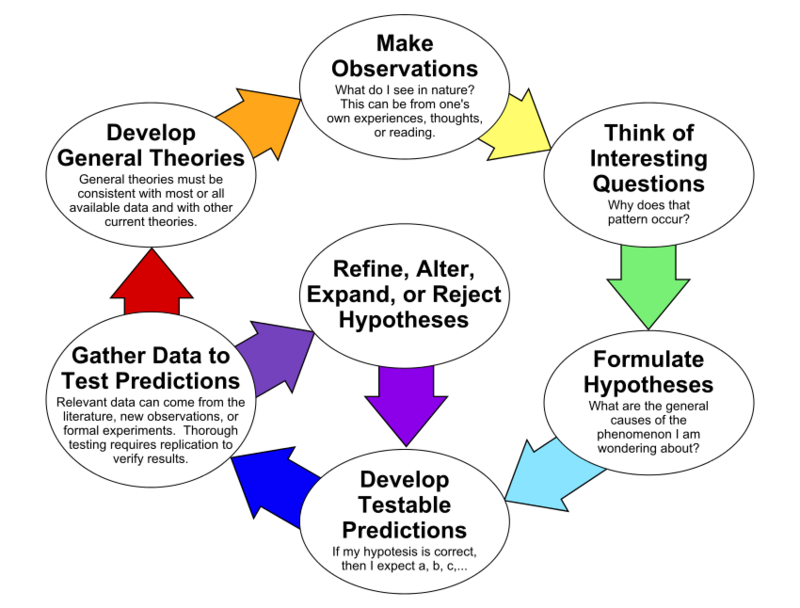 The method used by science to solve problems and arrive at accurate predictions is called the The Scientific Method. The scientific method consists of techniques for investigating phenomena, acquiring new knowledge, or correcting and integrating previous knowledge. This method of inquiry is based on empirical or measurable evidence subject to deductive reasoning. Although, to some, this definition might sound complex or even repelling, the ongoing process of the scientific method is robust and straightforward. Human beings are curious creatures that have a propensity to observe natural phenomena. Based on these observations interesting questions spring to one’s mind. After some research, verbal and mental formulations of what the answer might be are considered as various hypotheses. We develop experimental models for each of the hypotheses and we put those models to test. The results from those tests are compared to the expectations in the hypotheses. If they do not match, additional research is required, the hypothesis is changed, and the tests are performed again. This cycle continues until there is enough consistent data for the development of a general theory. 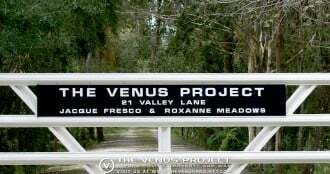 Through this process we know what is ‘true’ and what is ‘false’. All our current technological marvels came as a result of applying the scientific method towards a certain technical problem. We could apply the same method to find the root causes of many problems that arise in human behavior. The notion that humans behave according to universal laws has always been dismissed throughout history. Philosophies of the past have taught us that people have free will and that there are intrinsic factors which essentially categorize us into good or bad people. There is also a very prevalent notion that people cannot change. All these verbal and mental exercises have never been tested, therefore it would be unwise for us to conclude that they are correct. Only if we put these hypotheses to test would we discover the actual underlying reasons for many of the actions we consider harmful in our society. Greed, rage, envy, bigotry, jealousy, aggression and prejudice are only a small part of a list of behaviors considered socially offensive, but scientists have never really investigated what might be the root causes for these behaviors. Sociologists and psychologists continue to invent new explanations without considering the degrees of environmental influence on human behavior. In order for us to discover what makes men and women behave the way they do in different situations we would have to use the scientific method. In order to find the root causes for undesirable behaviors we would have to investigate what environmental factors influence human behavior in general. Humans are subject to a list of physiological and psychological needs that have to be met on an individual basis. Money is just an interference between what people need and what they are able to purchase. Our current social structure functions under the principle of scarcity and uses money as a medium of exchange. This produces a base for social problems as people have different physiological and psychological needs but it is essentially their purchasing power that decides to what degrees these needs could be met. Modern society has access to advanced technologies that could produce a very high standard of living for all. Creating abundance of goods and services and an automated distribution system would eliminate most problems by providing for the needs of all. In a society where goods and services are made available to the entire population free of charge, ownership becomes a burden that would be surpassed. This would call for global strategic resource use by applying the latest scientific and technological advancements. Such culture will be driven by an incentive towards problem solving. Using the scientific method to solve global social problems would also demand actions that are considered unthinkable today. We need to realize that we are one human species regardless of race, belief or nationality. We need to consider human and environmental welfare an international priority. Otherwise, we would be using the same old methods of thinking resulting in the same old problems we face today.